I try to keep up on the latest and greatest in the blogworld but I must admit, sometimes it is impossible discovering all of the new, or new to me, talent out there. Recently I tripped across Gracefully Searching, obviously not so gracefully, but I could not be happier that I did. Laura is just another Canadian, damn you Canadian designers and your freakishly awesome interior design gifts, doing her thing. Oh Canada. 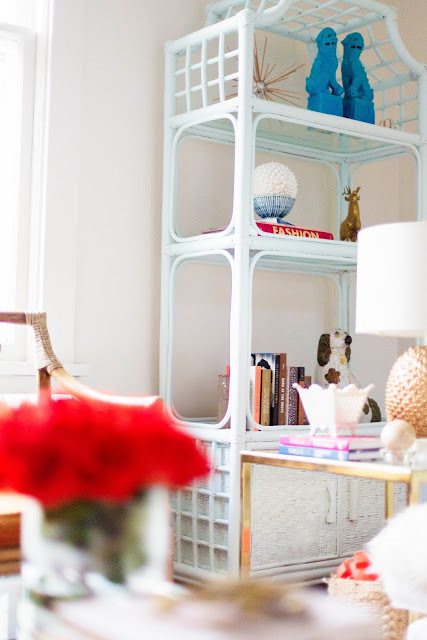 Girl creates well styled, airy and refreshing spaces and I am absolutely smitten with her. Go for it kitty cat! 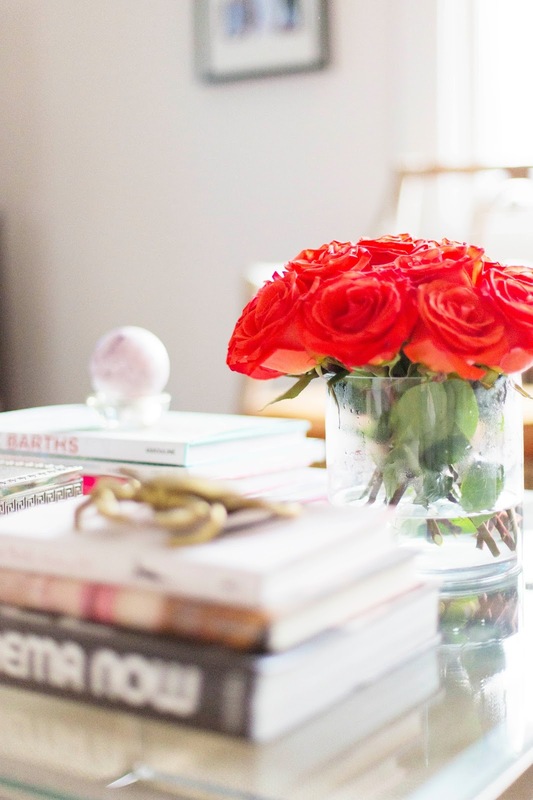 I am so thrilled to be sharing "My Favorite Room" with you all today! 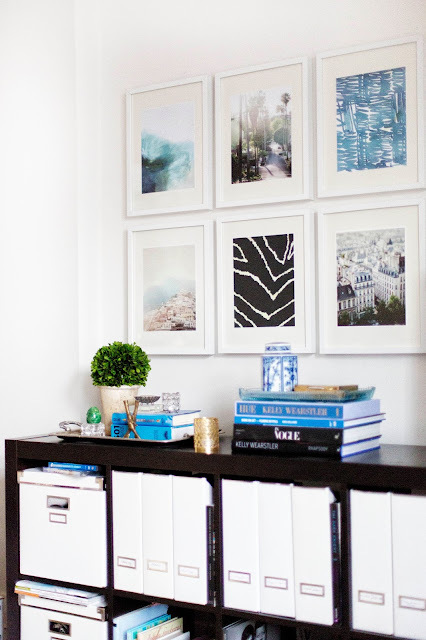 Sadie and Stella fills my design heart with so much inspiration on a daily basis. I am so excited to be participating in this fab design series! As a decorator I love to see how other people live and where they source their goods from. 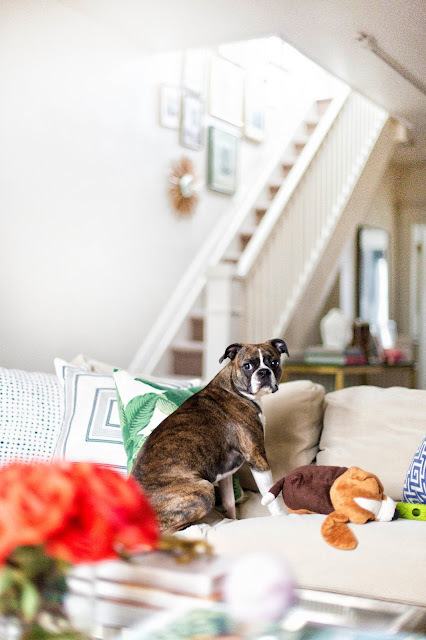 I chose our living room as "My Favorite Space" as it’s where we spend the majority of our time, and has been a real labor of love! Our home is open concept flowing from the kitchen to the dining area to the living space. Most of the décor you will see is sourced from websites such as Kijiji, Craigslist, E-bay and ETSY. 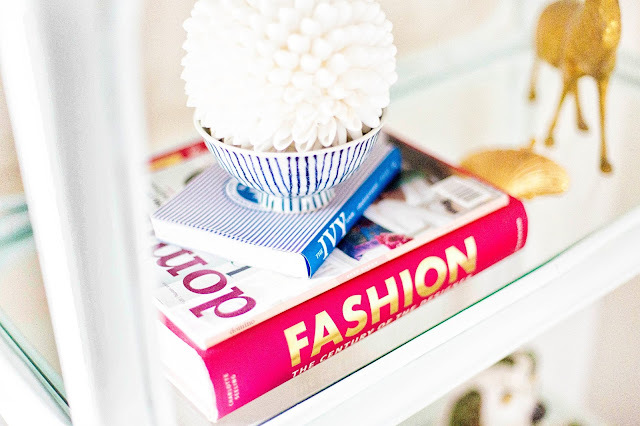 I love styling so it’s no wonder that I am always changing things up. 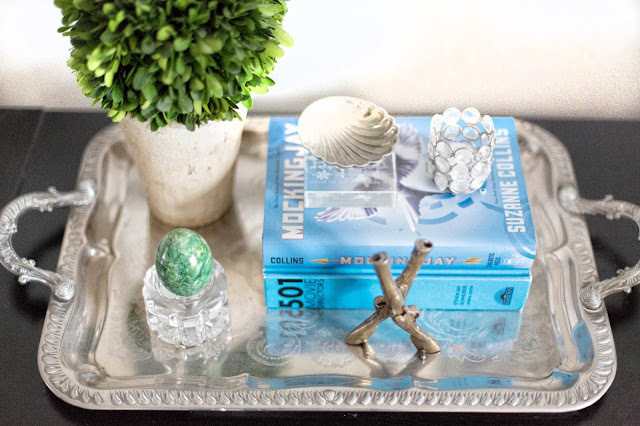 I’m a huge fan of coffee table books, which are in a constant rotation, as they create visual interest and perfect display area for our decorative objects. I wanted to create a space where we could gather as a family, or with friends, and all be cozy. While my style isn't totally laid back, I wanted to have a big comfy sofa, soft easy-care fabrics (helps with muddy paws), and a place where Bruce could race around with his toys. 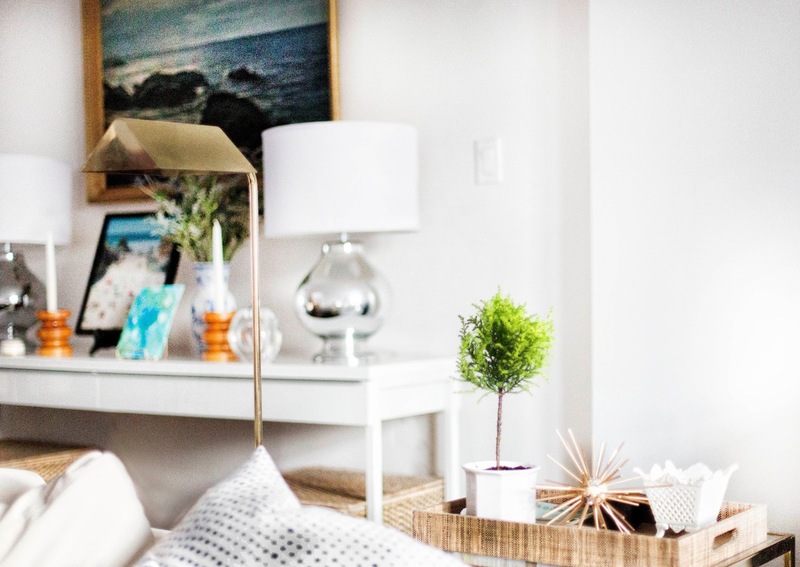 I am really influenced by Asian design so I wanted to incorporate that into our space without being too literal, while still including all other things I love into our room. I would call our space eclectic/traditional. 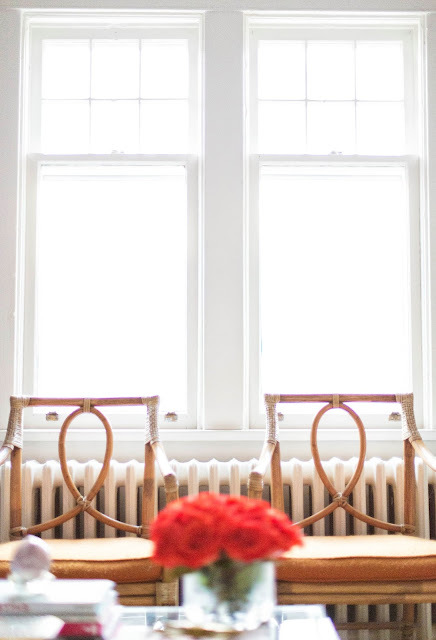 We are still in the process of finishing this room (roman blinds are needed and we might hang more art) but here are some pics of my favorite room! * Contact me if there is a specific item you would like to know about! What a great room. Love all the attention details! Canada, why can't you be part of the US? So darn good...every tiny detail. Love it all!! Her accents are amazing. Will click on over to see her blog. 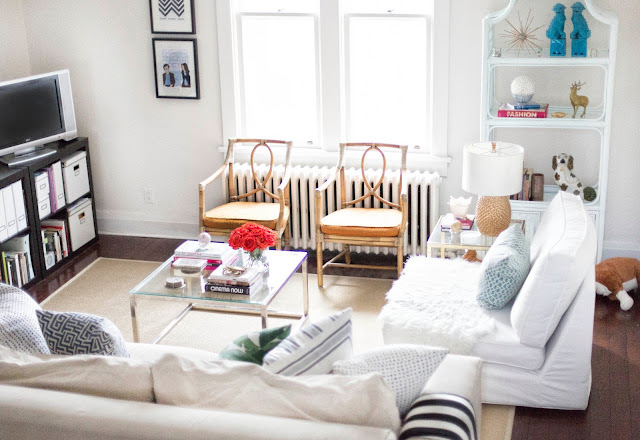 Loving this room! And look, another ceramic pup like you love Sadie! 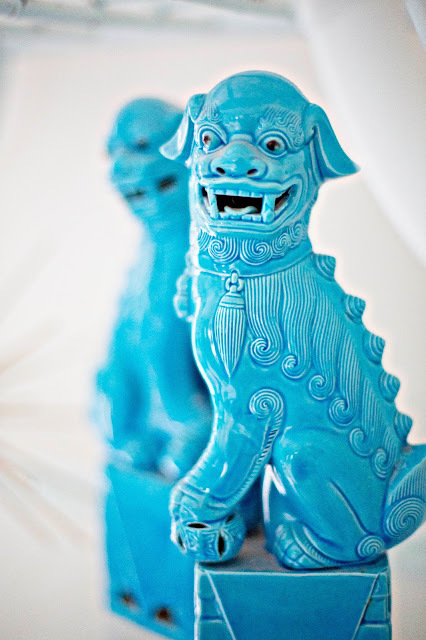 And blue foo dogs like I love. This girl has some serious style. Heading over to check out her blog! Gorgeous! Love the little gold crab accent. Thanks for sharing! I love the space. 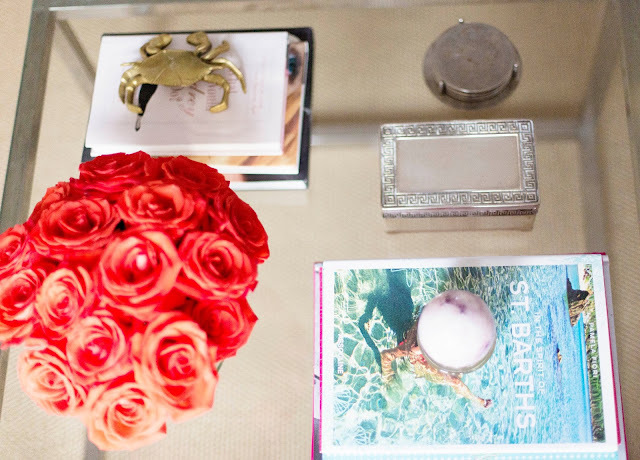 The gold end tables are my fav and I do love your coffee table and all your little decorative accents. So pretty! Love those Canadians! Thanks for passing on this talented lady and her blog. I find new blogs almost everyday and I think they grow daily in numbers so we'll never find them all! It could be a full time job! So going on recommendations is the best, especially with your good eye! Great, comfortable space. Might be in Canada, but it could just as easily be at home here in So Cal. Thanks for the intro to this talented gal! What a STUNNING room. Gorgeous colors, and that is officially my new favorite galley wall ever. Obsessed!! 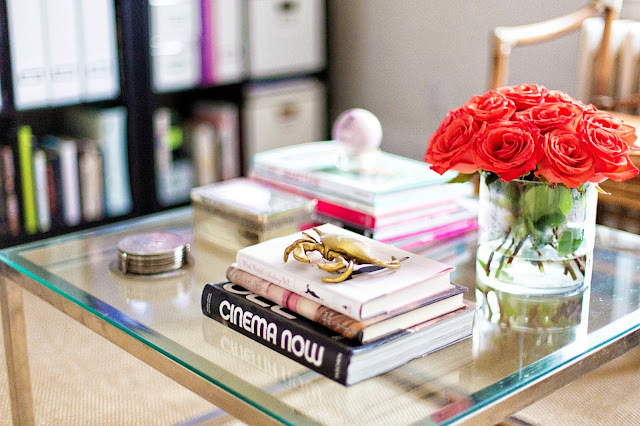 I love the lucite coffee table and soft couch colors. Oh JK it is glass.... but still love! This room is so light and airy! I am just loving everything in it! And there are those dogs you are obsessed with, Linds! holy hell. 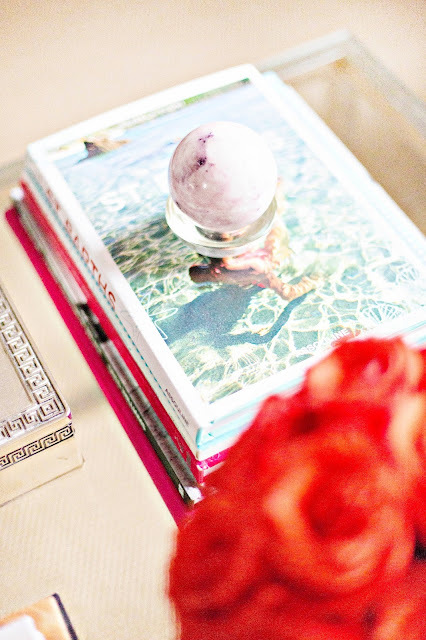 i need to paint something that dreamy washed out turquoise immediately. great space! 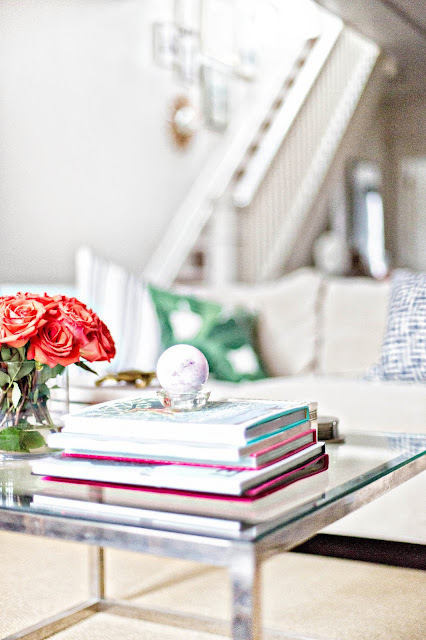 Such a pretty living room and so great to find a new blog to check out! 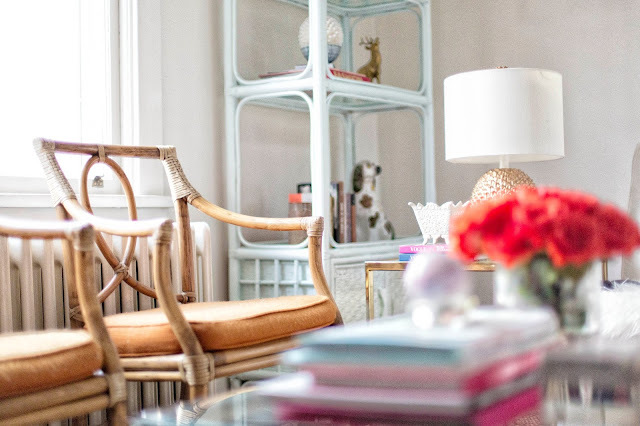 I love her living room so much that I am sure I will equally lover her blog! So fun to see her blue foo dogs, I have the same ones in my bookcase! It so so so beautiful! I love how bright and airy it feels!! Looks like a serious coffee table book collection going on too!! I absolutely love this room!!! Thanks so much for sharing! Great decoration that is and also very inspiring for me. Its really very cool. I Love this very much, these design are so charming, timelessly classic and beautiful.Thank you so much for sharing a such a beautiful post.